Long and drawn out strategic planning processes are unacceptable! Today’s environment demands speed, rapid decision-making, adaptive structures and nimble behaviors in order to seize opportunities and mitigate threats. Budgets, staffing and overall resources are dwindling. Time is limited. Doing more with less is imperative. A modern and viable strategic planning system must be responsive to these conditions and reflect rapid formulation and execution. The net time commitment by decision-makers for plan formulation involves participation in a 30-minute phone interview and a one and one-half day or two-day intensive planning session. 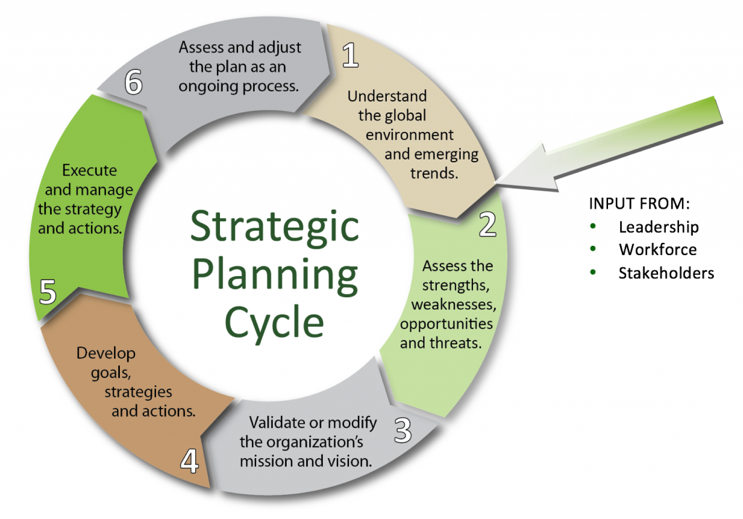 The LCA approach is based on a six-step process in the strategic planning cycle. While the strategic planning process is customized for each client, the approach covers the six steps. The compressed process results in a three- to five-year road map and 12-18-month priorities that are executed and managed by the organization’s leadership. The LCA strategic planning process is designed to link collaborative actions of leadership, customers, employees and key stakeholders to create a compelling and achievable strategy and plan. LCA works closely with the leadership and key staff to ensure an overall productive, on target and executable outcome for the organization. LCA’s strategic planning approach is designed to add value to the client experience and exceed expectations of results. The LCA process is based on cycle of six strategic activities which serve as building blocks for plan development. Plain and simple, in our compressed process, you and your leadership team explore possibilities, share insights, debate alternatives and make decisions about the future. With your content, we do the heavy lifting and overnight, produce a draft plan for you to vet and finalize through a consensus-based decision process the next day. We combine your market knowledge and program content with our 30+ years of writing strategic plans and leave you with a final and approved 3-5 year strategies, and an action plan for the first 12 months. The best part is that we do all of this in only two days! Lynne Carbone, the firm’s President, believes that strategic planning is a powerful leadership and management tool to guide decisions and focus actions for the organization. She demonstrates that developing a plan does not have to be a long, involved or painful process. In fact, with the right advance work including a collection of customer, partner, employee and stakeholder inputs and the key decision-makers, it can be an efficient, energizing and rewarding experience. The organization receives relevant strategies and road map for decision-making and a focused action plan for execution in the near-term. The firm’s strategic planning system is based on a collaborative model which promotes and facilitates consensus-based decisions. Groups receive the added benefit of teambuilding in the process of planning together. They are coached and given tools to brainstorm, listen effectively, articulate positions, provide constructive feedback, define and problem-solve issues, build strategies, and confront difficult situations and topics. LCA uses multiple interpersonal relationship building tools and methods to promote robust dialog and reality-based decision-making throughout the process. Strategic plan development is complex with multiple and intersecting factors, which need to be translated into a vision, mission, strategies, tactics, and priorities. 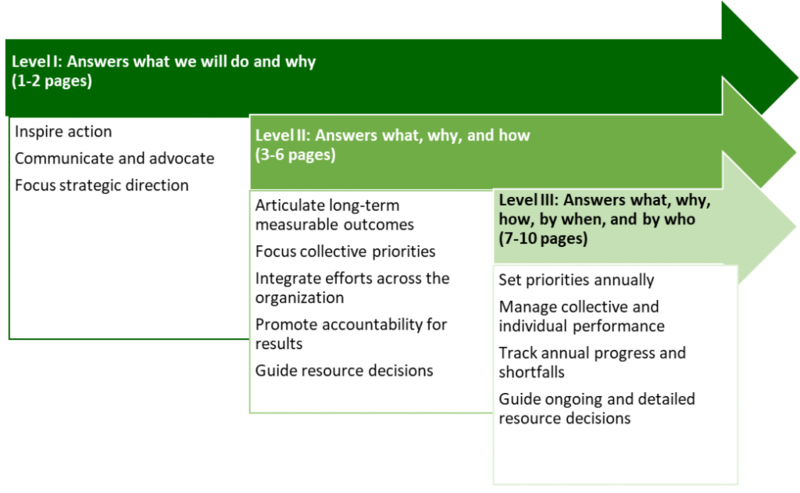 The process support for building an organization’s strategic plan requires far more than meeting facilitation. A facilitator’s role includes the management of the agenda, time and member participation. The LCA Consultant team utilizes facilitation as one tool among many to achieve the planning process outputs. 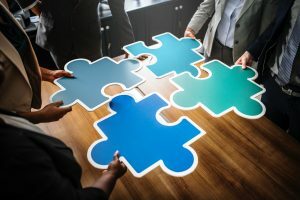 Make connections that the client or participants may not see. Observe, facilitate and if necessary, address group dynamics. Coach for leadership techniques and interpersonal effectiveness. Provide candid observations, feedback and recommendations to leadership offline. Recommend content solutions and not just process suggestions. Produce draft plans for client consideration and further development. The firm customizes the planning processes to include the maximum number of stakeholders and produce results-based strategic and short-term plans. Clients are coached to create compelling visions, focus strategies, and articulate measurable objectives and tactics for achieving them. In order to optimize meeting time, LCA tailors pre-planning input activities to best meet the client’s needs and budget. In collaboration with the client, preferred methods for gathering customer, employee and stakeholder inputs are selected. Input questions are tailored to elicit feedback about the future and for populating a SWOT analysis (strengths, weaknesses, opportunities and threats) for the organization. LCA collects and analyzes the inputs and presents a synthesis and analysis to the client prior to the planning meeting. The inputs serve as the basis and starting point for the strategy formulation. Captures discussions of exploration and prioritization of possibilities. Allows the group to focus and move forward on their decisions in the planning process. Highlights strategic level decisions to be answered by the strategic plan. Facilitates achieving alignment and group agreement at various stages of the planning process. Promotes consensus agreements all along the way to populate the strategic plan. If requested, the firm also provides templates, guidelines and consulting support for plan execution and management. Even the best strategic plans can fail in execution if it does not have the right system of support. LCA’s execution planning system builds on the client’s strategic planning efforts, and includes the development of detailed 12-24 month actions with corresponding project plans to ensure successful completion of the strategic plan’s goals and objectives. LCA provides the tools and process necessary to rate and rank all proposed actions in the execution plan based on the client’s criteria of strategic importance. The organization’s leaders can then vet the results and finalize the plan’s priority actions. Once finalized, if the client desires, each action can undergo a process of project planning to detail the specific steps and timetables to be used in the completion of the assigned action. This aids in project management and provides additional visibility on progress. LCA also provides a tool and process to track the progress of the strategic and execution plans to make quarterly or annual plan updates easy and efficient. Call 301-986-0033 or email LCarbone@LynneCarbone.com today.